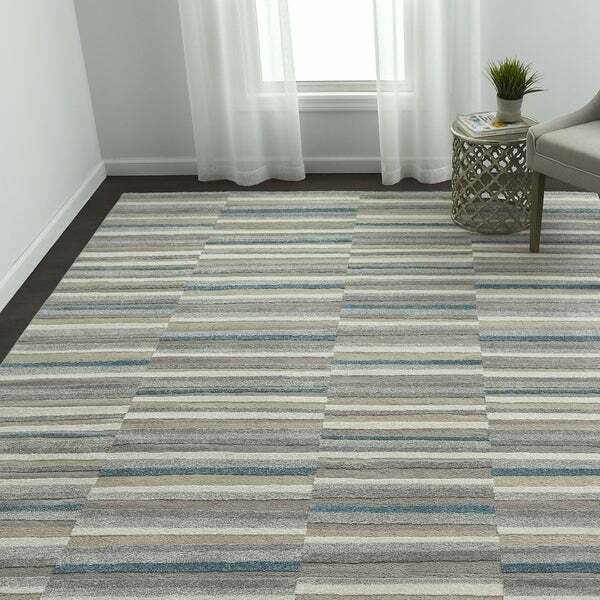 Unroll a fresh look with the VCNY Home Killian Stripe Area Rug, which features soothing grey, blue, and brown stripes and a high-low pile design for a unique dimensional look. Available in a variety of sizes, each rug is power-loomed in Turkey using polypropylene material to create a soft, durable weave that is resistant to water, stains, and fading for a timeless style that's built to last. Available in a variety of sizes: 5'3" x 7'6", 7'11" x 10', 9' x 12', 24" x 60"
Corbin Blue Striped Contemporary Area Rug - 7'10" x 10'3"